Here at Atomi, we're committed to privacy and transparency, so if you'd like to delete your account we're happy to help. However, we must warn you, deleting your account is a permanent action! 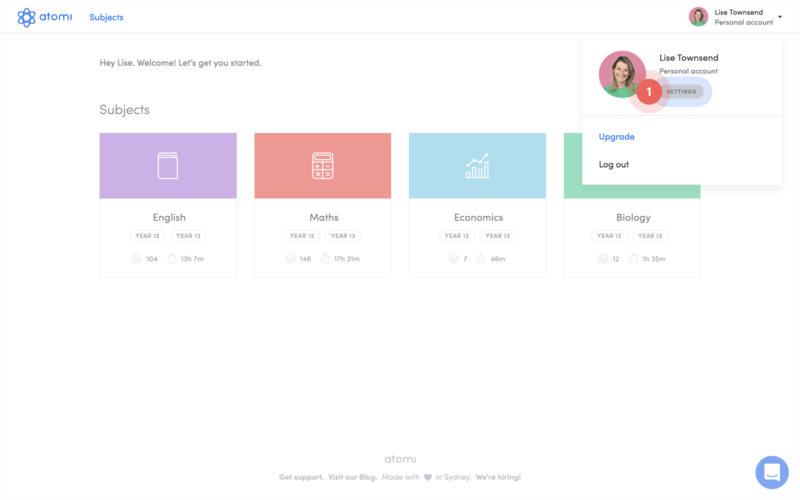 You will no longer be able to log in to Atomi and we will not be able to recover any of your account data such as your progress, scores or analytics. When deleting your account you agree that any pro-rata or promotional credits you may have remaining on your account will be forfeited and cannot be recovered. 2. Click on the small blue Delete my account link at the bottom of your Profile page. 3. 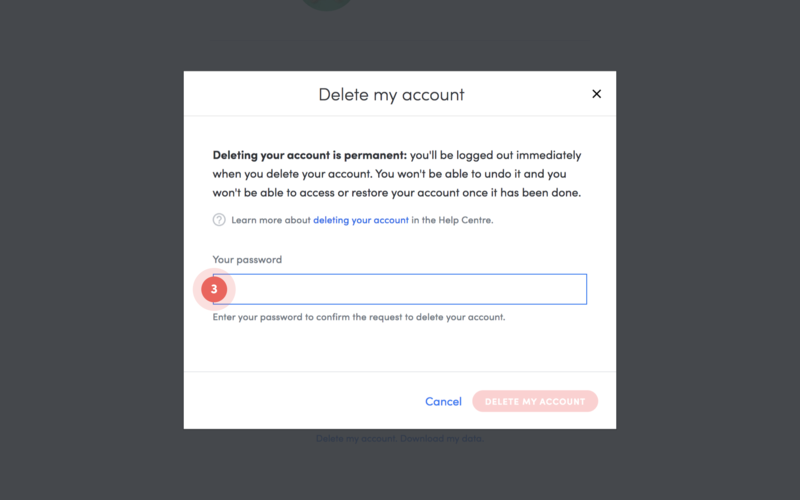 Enter your password in the pop-up to confirm you want to delete your account. 4. 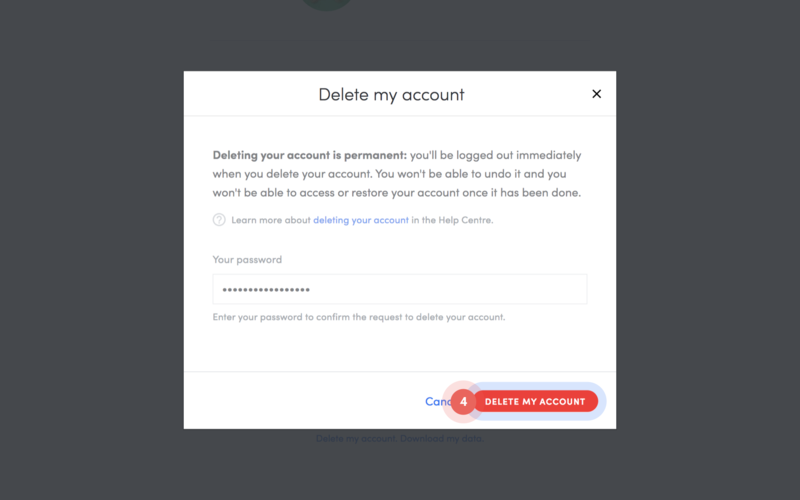 Click on the red Delete my account button to complete the request. 5. You'll be logged out immediately and your account will be deleted. 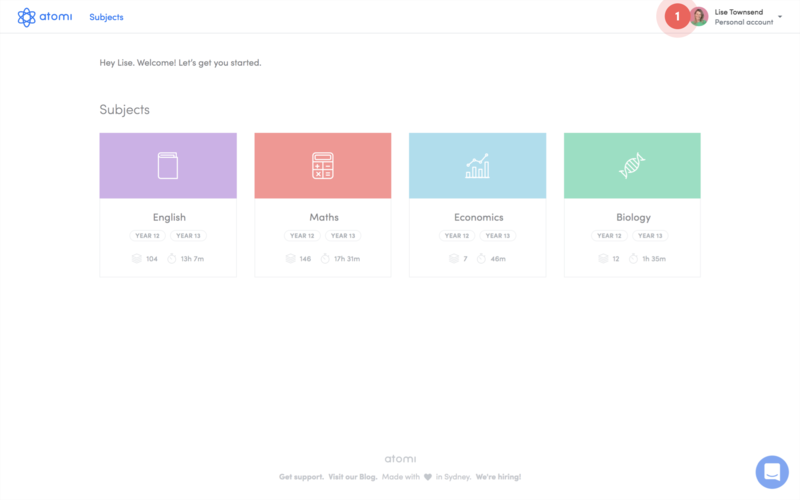 Please note: If you are the owner on a school account you'll have to transfer your account ownership first before you can delete your account. 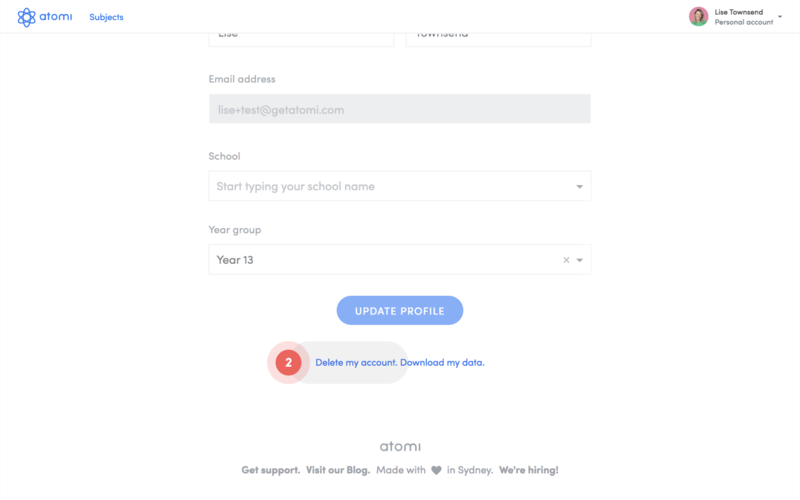 If you want to delete all users and close your school account please email support@getatomi.com.